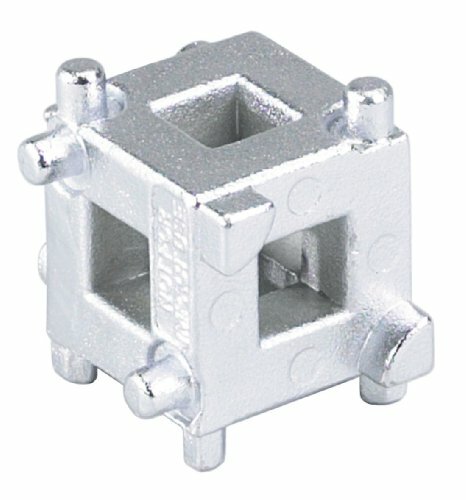 This “cube” tool rotates pistons back into brake calipers when replacing brake pads on vehicles with rear wheel disc brakes. Tool has 3/8" square drive, provides six drive pin configurations to fit most cars and light trucks. This updated version fits more applications than many competitors’ tools.